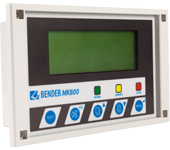 BENDER’s RCM series of ground fault monitors provide advanced warning of ground faults without the problems associated with nuisance tripping. 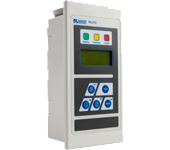 RCM series monitors work on single-phase and three-phase AC systems. 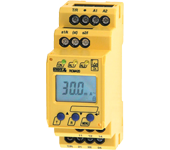 A wide variety of adjustable trip levels, display types, and outputs are available. 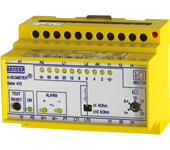 BENDER’s RCMA series of ground fault monitors utilize the latest technology to detect ground faults on both AC and DC systems. 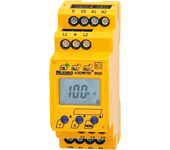 RCMA series monitors feature digital displays which show the measured ground fault current in real-time. 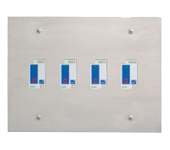 A wide variety of adjustable trip levels and outputs are available. 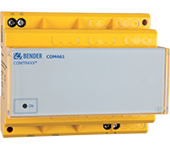 BENDER’s RCMS series of ground fault monitors are designed to monitor up to 12 separate branches or circuits from a single device. Both AC and DC systems are supported. 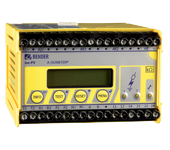 RCMS modules feature detailed digital displays, optional separate contact outputs, and compatibility with BENDER’s remote communication system. 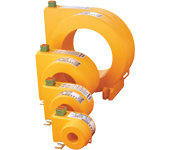 BENDER current transformers are highly sensitive measuring devices, designed for use with BENDER RCM, RCMA, RCMS, and EDS series products. 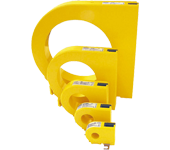 Various sizes and shapes are available, including round, rectangular, split-core, and flexible. 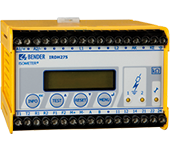 BENDER is a leading provider of protection solutions to industrial facilities of all types of applications, from power distribution monitoring to load protection. Our wide and varied portfolio of products ensures that your facility has the protection it needs, no matter what the application is. 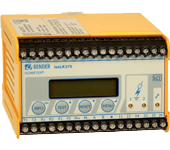 Remote indicators and remote stations for isolated power system monitoring. 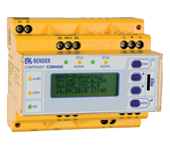 Solutions for connecting BENDER equipment to modern communication networks. 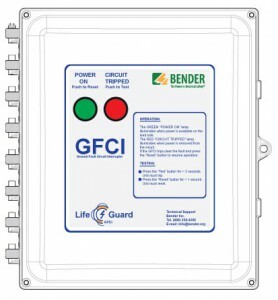 BENDER ground detectors are specifically designed to detect ground faults on ungrounded systems, giving advanced warning of issues before leakage current may even be present. 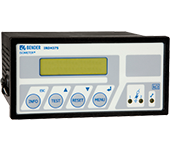 BENDER monitors employ the latest technology to ensure accurate readings on virtually all types of systems, including AC, DC, and mixed AC/DC systems, as well as systems with variable frequency drives (VFDs). 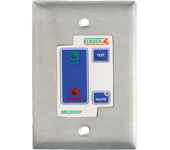 Low-voltage ground detectors are designed for systems up to 300 V. Where applicable, these monitors meet the requirements for ground detectors set forth in NEC 250.21(B) and CEC 10-106(2). 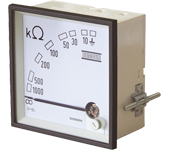 Main system detectors are designed for general AC/DC power distribution monitoring, as well as specific applications. Where applicable, these monitors meet the requirements for ground detectors set forth in NEC 250.21(B) and CEC 10-106(2). Certain devices may have industry standard specific approvals – see individual device information for details. 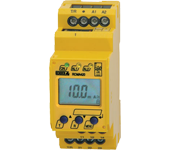 Designed specifically for photovoltaic systems 100 kW and below, the isoPV425 ground fault detector provides early indication of ground faults before leakage current may even be present. 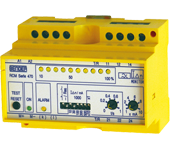 The device detects both AC and DC ground faults by monitoring the system’s insulation resistance. 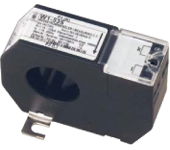 The isoPV425 and AGH420 can connect to systems up to 690 VAC / 1000 VDC. 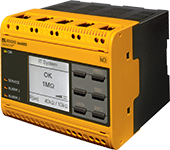 The isoPV detects ground faults in isolated (ungrounded) solar arrays up to 793 VAC / 1100 VDC. 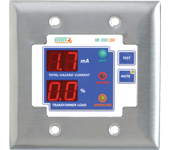 The iso-PV monitors for ground faults by measuring the system’s insulation resistance, providing early indication of ground faults before leakage current may even be present. 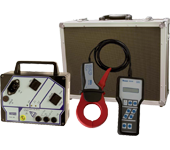 Both AC and DC ground faults can be detected, including on systems that have high leakage capacitances. 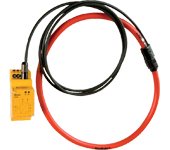 The IR155 10 series detects ground faults in ungrounded DC electric vehicle chargers (level 3). The device monitors the system’s insulation resistance between the charger and ground, for systems up to 800 VDC. 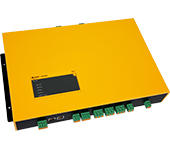 The IR155 03/04 series detects ground faults in ungrounded drive systems in electric vehicles. 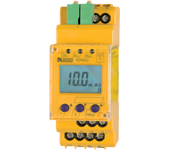 The device monitors the system’s insulation resistance between the charger and ground, for systems up to 1000 VDC. 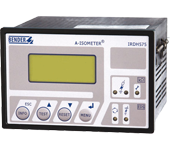 The advanced measurement method monitors both the DC side as well as the AC motor side of the system, even through high system interference conditions caused by motor control processes. 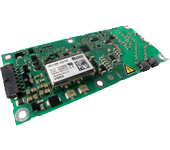 The devices are PCB-style with a very small footprint and light weight. Various connector and drive output options are available. Portable EDS fault location systems provide a simple method of locating ground faults once they have been detected. 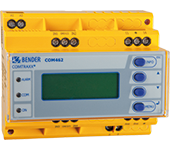 The system may be used together with BENDER’s installed ground fault detector or as a standalone portable system. 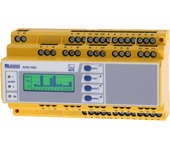 The EDS3090 is a portable ground fault location system for ungrounded AC and DC systems. 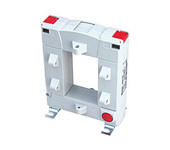 The system utilizes an advanced measuring principle to locate ground faults down to the load level. 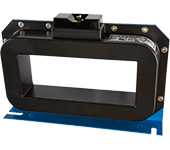 The robust aluminum case includes the EDS190P ground fault evalulator, varying sizes of current clamps, and accessories. 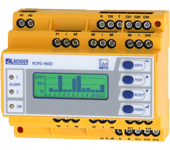 The EDS3090 is designed for use with BENDER’s installed IRDH575 ground fault detector, while the EDS3090PG is designed to be a stand-alone portable location system and requires no other devices to operate. 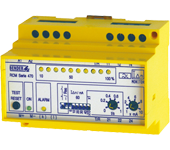 Installed EDS series modules provide an automated process of detecting faults. Each device can monitor up to twelve separate branches in parallel for any detected ground faults. Simple indication is provided to personnel when a fault is located. 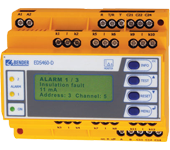 The EDS460/61 & 490/91 ground fault location modules, in combination with the IRDH575 ground fault detector, locate branch faults in ungrounded AC/DC systems. Up to 12 separate branches may be monitored by one device. Up to 90 EDS devices may be connected together, for a total of 1080 branches simultaneously monitored. 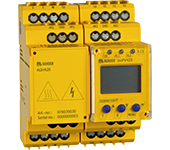 The EDS460/61 & 490/91 work on both AC and DC systems, including systems with variable frequency drives (VFDs). 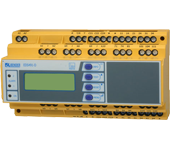 Devices are interconnected via RS-485 to automate the process of locating faults. An LCD display shows which branch has the ground fault after it has been located.